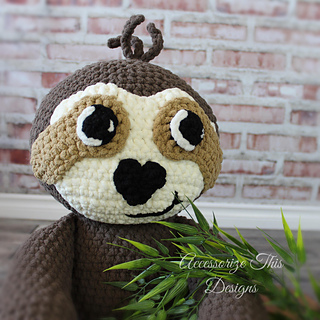 Speedy the Sloth is ready for a great adventure (just don’t expect him to move too quickly)! 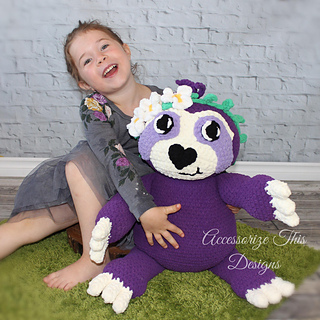 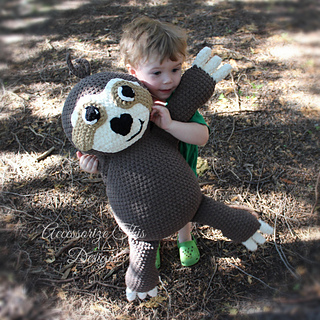 The Sloth has been created with Bernat Blanket yarn for extra large, soft hugs. 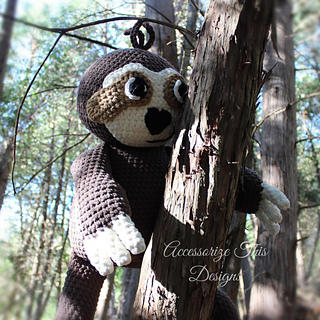 He can also be completed with worsted weight yarn for a sloth approximately half the size. 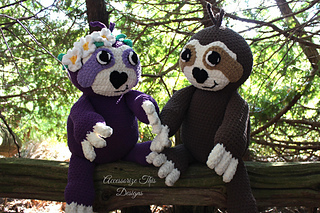 Note: This is an Intermediate Design but I have included links to stitch tutorials and detail photos. 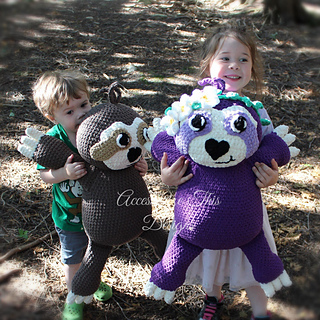 Huge thank you to those that tested this design.